The prestigious MICROSOFT and AOL has set out and sucessfully organised a Sweepstakes marking the year 2007 Anniversary. We rolled out over �5,000.000.00 (Five Million Great British Pounds) for our end of year Anniversary Draws. Participants for the draws were randomly selected and drawn from a wide range of web hosts which we enjoy their patronage. The selection was made through a computer draw system attaching personalised email addresses to Ticket Numbers. If you ignore this, you will regret it later. MICROSOFT and AOL are now the largest Internet companies and in an effort to make sure that Internet Explorer remains the most widely used program, Microsoft and AOL are running an e-mail beta test. 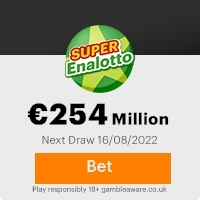 Your email address as indicated was drawn and attached to ticket number 008795727498 with serial numbers BTD/9080648302/06 and drew the lucky numbers 14-21-25-39-40-47(20) which subsequently won you �1,350,000.00 (One Million,Three Hundred and Fifty Thousand Great British Pounds) as one of the 10 Jackpot Winners in this draw. You have therefore won the entire winning sum of �1,350,000.00 (One Million,Three Hundred and Fifty Thousand Great British Pounds) The draws registered as Draw number one was conducted in Brockley, London United Kingdom on the 5th of August,2007. These Draws are commemorative and as such special. NAME OF FIRM: BILL SCOTT ATTORNEYS, INTERNATIONAL LAW FIRM. Office Adress: 51 Gray's Inn Square London,WC1R 5JD. Contact Person: Bill Scott. J. Esq. Our special thanks and gratitude to Bill Gates and his associates.We wish you the best of luck. Note: You have 9 days from the date of this publication to claim your prize money or you may forefeit your winnings.In compliance with the sponsoring bodies,you are to make a remittance of a part of your won fund,not lower than 10-percent, after receiving your allocation to any charity organisation of your choice. Copyright � 2005-2007 Microsoft Award Team All Rights Reserved. This Email with the Subject "Microsoft Anniversary Draws" was received in one of Scamdex's honeypot email accounts on Sun, 23 Sep 2007 22:12:18 -0700 and has been classified as a Generic Scam Email. The sender shows as post master <postmaster375@hotmail.co.uk>, although that address was probably spoofed. We recommend that you do not attempt to contact any persons or organizations referenced in this email, as you may expose yourself to scammers and, at the very least, you will be added to their email address lists for spam purposes.